Asiad Steels is one of the renowned manufacturers, distributors and suppliers of Hastelloy C22 Stud Bolt, which is made of molybdenum, nickel, chromium and tungsten. Hastelloy C22 Threaded Rods is a standard industrial material that provides excellent resistance to natural corrosion, intergranular attack, pitting and crevice corrosion and SCC. Hastelloy C22 Threaded Bars is a versatile nickel-chromium-molybdenum-tungsten alloy with superior resistance to both uniform and localized corrosion than other Ni-Cr-Mo alloys available today. Other industry applications of Hastelloy C22 Tie Rods are pulp and paper (digesters and bleach areas), scrubbers and ducting for flue gas desulfurization, pharmaceutical and food processing equipment. Also, Hastelloy C22 Tie Bars offers optimum resistance to environments where reducing and oxidizing conditions are encountered in process streams. Hastelloy C22 Double Ended Studs resists the formation of grain-boundary precipitates in the weld heat-affected zone, thus making it suitable for most chemical process applications in the as-welded condition. 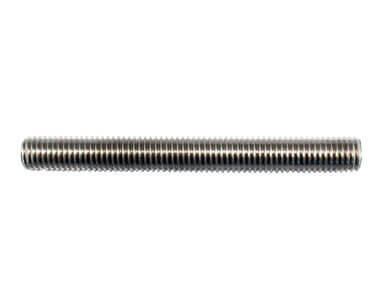 Alloy C22 Threaded Rods is also used in HF furnace scrubbers, incinerator scrubber systems, nuclear fuel reprocessing, pesticide production, phosphoric acid production, pickling systems, plate heat exchangers, selective leaching systems, SO2 cooling towers, sulfonation systems, tubular heat exchangers, weld overlay-valves. Some of the area of present or potential use for Alloy C22 Threaded Bars is: Acetic acid/Acetic Anhydride, cellophane manufacturing, chlorine spargers, chlorination systems, circuit board etching equipment, complex acid/chemical mixtures, fans and blowers. Alloy C22 Tie Rods should not be used in service temperatures above 1250° F due to the formation of detrimental phases which form above this temperature. Alloy C22 Tie Bars can withstand very high temperatures and is corrosion resistant. 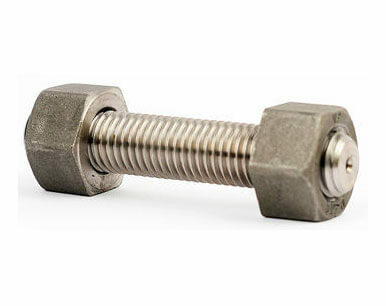 Buy Hastelloy C22 Stud Bolt at reasonable rates from us. We are Exporter of Hastelloy Alloy C22 Studbolt in Worldwide Such as India, Namibia, Mexico, Malaysia, Gabon, Bolivia, Slovakia, Mongolia, Denmark, Jordan, Chile, Colombia, Hungary, Chile, Philippines, Romania, Estonia, Sri Lanka, Hong Kong, Israel, Ukraine, France, Finland, Spain, Afghanistan, Iran, Ireland, Nigeria, Singapore, Azerbaijan, Bhutan, United Arab Emirates, Taiwan, Sweden, Kuwait, Bulgaria, Switzerland, Egypt, Norway, Argentina, Russia, New Zealand, Japan, Poland, Croatia, Austria, Costa Rica, Tibet, Ghana, Morocco, Australia, Portugal, Belarus, Iran, Turkey, Lebanon, Poland, Macau, Nigeria, Kazakhstan, Netherlands, Czech Republic, Vietnam, South Korea, Mexico, Libya, China, Puerto Rico, Peru, Italy, Lithuania, Serbia, South Africa, Indonesia, Germany, Saudi Arabia, Iraq, Trinidad & Tobago,Tunisia, Venezuela, Bangladesh, United States, Canada, Oman, Bahrain, Qatar, Zimbabwe, Thailand, Greece, Gambia, Yemen, Pakistan, Kenya, Nepal, Algeria, Angola, United Kingdom, India, Belgium, Brazil, Ecuador. 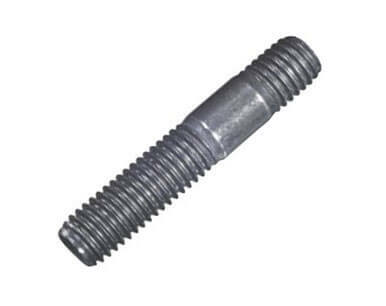 We are Suppliers of Hastelloy C22 Stud bolt in India Such as Mumbai, Vung Tau, Dallas, Dubai, Kolkata, Hanoi, Courbevoie, Singapore, Los Angeles, Houston, Ahvaz, New Delhi, Toronto, Colombo, Cairo, Faridabad, Coimbatore, Abu Dhabi, Noida, Gimhae-si, Thiruvananthapuram, Melbourne, Rajkot, Ahmedabad, Atyrau, Chandigarh, Al Jubail, Pune, New York, Busan, Haryana, Jeddah, Manama, Chennai, Granada, Vadodara, Gurgaon, Mumbai, Madrid, Ludhiana, Sharjah, Nashik, Ankara, Petaling Jaya, Calgary, Muscat, Edmonton, Hong Kong, Dammam, Secunderabad, La Victoria, Algiers, Tehran, Kuala Lumpur, Karachi, Jaipur, Kanpur, Surat, Bhopal, Bogota, London, Al Khobar, Baroda, Ulsan, Indore, Perth, Montreal, Lahore, Howrah, Kuwait City, Aberdeen, Jamshedpur, Sydney, Navi Mumbai, Jakarta, Bangkok, Istanbul, Moscow, Doha, Bengaluru, Nagpur, Thane, Port-of-Spain, Santiago, Caracas, Visakhapatnam, Lagos, Hyderabad, Mexico City, Riyadh, Brisbane, Chiyoda, Seoul, Pimpri-Chinchwad, Milan, Ernakulam, Rio de Janeiro, Ranchi, Ho Chi Minh City, Geoje-si.